Count Basie was among the most important bandleaders of the swing era. With the exception of a brief period in the early '50s, he led a big band from 1935 until his death almost 50 years later, and the band continued to perform after he died. Basie's orchestra was characterized by a light, swinging rhythm section that he led from the piano, lively ensemble work, and generous soloing. Basie was not a composer like Duke Ellington or an important soloist like Benny Goodman. His instrument was his band, which was considered the epitome of swing and became broadly influential on jazz. Both of Basie's parents were musicians; his father, Harvie Basie, played the mellophone, and his mother, Lillian (Childs) Basie, was a pianist who gave her son his earliest lessons. Basie also learned from Harlem stride pianists, particularly Fats Waller. His first professional work came accompanying vaudeville performers, and he was part of a troupe that broke up in Kansas City in 1927, leaving him stranded there. He stayed in the Midwestern city, at first working in a silent movie house and then joining Walter Page's Blue Devils in July 1928. The band's vocalist was Jimmy Rushing. Basie left in early 1929 to play with other bands, eventually settling into one led by Bennie Moten. Upon Moten's untimely death on April 2, 1935, Basie worked as a soloist before leading a band initially called the Barons of Rhythm. Many former members of the Moten band joined this nine-piece outfit, among them Walter Page (bass), Freddie Green (guitar), Jo Jones (drums), and Lester Young (tenor saxophone). Jimmy Rushing became the singer. The band gained a residency at the Reno Club in Kansas City and began broadcasting on the radio, an announcer dubbing the pianist "Count" Basie. Basie got his big break when one of his broadcasts was heard by journalist and record producer John Hammond, who touted him to agents and record companies. As a result, the band was able to leave Kansas City in the fall of 1936 and take up an engagement at the Grand Terrace in Chicago, followed by a date in Buffalo, NY, before coming into Roseland in New York City in December. It made its recording debut on Decca Records in January 1937. Undergoing expansion and personnel changes, it returned to Chicago, then to the Ritz Carlton Hotel in Boston. Meanwhile, its recording of "One O'Clock Jump" became its first chart entry in September 1937. The tune became the band's theme song and it was later inducted into the Grammy Hall of Fame. Basie returned to New York for an extended engagement at the small club the Famous Door in 1938 that really established the band as a success. "Stop Beatin' Round the Mulberry Bush," with Rushing on vocals, became a Top Ten hit in the fall of 1938. Basie spent the first half of 1939 in Chicago, meanwhile switching from Decca to Columbia Records, then went to the West Coast in the fall. He spent the early '40s touring extensively, but after the U.S. entry into World War II in December 1941 and the onset of the recording ban in August 1942, his travel was restricted. While on the West Coast, he and the band appeared in five films, all released within a matter of months in 1943: Hit Parade of 1943, Reveille with Beverly, Stage Door Canteen, Top Man, and Crazy House. 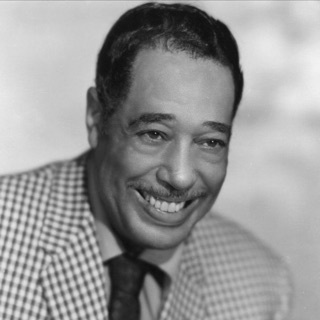 He also scored a series of Top Ten hits on the pop and R&B charts, including "I Didn't Know About You" (pop, winter 1945); "Red Bank Blues" (R&B, winter 1945); "Rusty Dusty Blues" (R&B, spring 1945); "Jimmy's Blues" (pop and R&B, summer/fall 1945); and "Blue Skies" (pop, summer 1946). Switching to RCA Victor Records, he topped the charts in February 1947 with "Open the Door, Richard!," followed by three more Top Ten pop hits in 1947: "Free Eats," "One O'Clock Boogie," and "I Ain't Mad at You (You Ain't Mad at Me)." The big bands' decline in popularity in the late '40s hit Basie as it did his peers, and he broke up his orchestra at the end of the decade, opting to lead smaller units for the next couple of years. 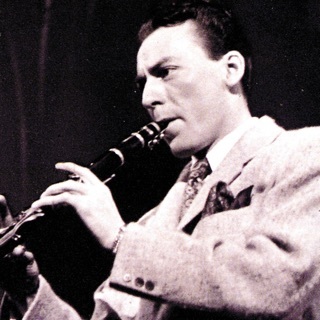 But he was able to reform the big band in 1952, responding to increased opportunities for touring. For example, he went overseas for the first time to play in Scandinavia in 1954, and thereafter international touring played a large part in his schedule. An important addition to the band in late 1954 was vocalist Joe Williams. The orchestra was re-established commercially by the 1955 album Count Basie Swings - Joe Williams Sings (released on Clef Records), particularly by the single "Every Day (I Have the Blues)," which reached the Top Five of the R&B charts and was later inducted into the Grammy Hall of Fame. Another key recording of this period was an instrumental reading of "April in Paris" that made the pop Top 40 and the R&B Top Ten in early 1956; it also was enshrined in the Grammy Hall of Fame. These hits made what Albert Murray (co-author of Basie's autobiography, Good Morning Blues) called the "new testament" edition of the Basie band a major success. Williams remained with Basie until 1960, and even after his departure, the band continued to prosper. At the first Grammy Awards ceremony, Basie won the 1958 awards for Best Performance by a Dance Band and Best Jazz Performance, Group, for his Roulette Records LP Basie. Breakfast Dance and Barbecue was nominated in the dance band category for 1959, and Basie won in the category in 1960 for Dance with Basie, earning nominations the same year for Best Performance by an Orchestra and Best Jazz Performance, Large Group, for The Count Basie Story. There were further nominations for best jazz performance for Basie at Birdland in 1961 and The Legend in 1962. None of these albums attracted much commercial attention, however, and in 1962, Basie switched to Frank Sinatra's Reprise Records in a bid to sell more records. Sinatra-Basie satisfied that desire, reaching the Top Five in early 1963. It was followed by This Time by Basie! Hits of the 50's and 60's, which reached the Top 20 and won the 1963 Grammy Award for Best Performance by an Orchestra for Dancing. This initiated a period largely deplored by jazz fans that ran through the rest of the 1960s, when Basie teamed with various vocalists for a series of chart albums including Ella Fitzgerald (Ella and Basie!, 1963); Sinatra again (the Top 20 album It Might as Well Be Swing, 1964); Sammy Davis, Jr. (Our Shining Hour, 1965); the Mills Brothers (The Board of Directors, 1968); and Jackie Wilson (Manufacturers of Soul, 1968). He also reached the charts with an album of show tunes, Broadway Basie's ... Way (1966). By the end of the 1960s, Basie had returned to more of a jazz format. His album Standing Ovation earned a 1969 Grammy nomination for Best Instrumental Jazz Performance by a Large Group or Soloist with Large Group (Eight or More), and in 1970, with Oliver Nelson as arranger/conductor, he recorded Afrique, an experimental, avant-garde album that earned a 1971 Grammy nomination for Best Jazz Performance by a Big Band. By this time, the band performed largely on the jazz festival circuit and on cruise ships. In the early 1970s, after a series of short-term affiliations, Basie signed to Pablo Records, with which he recorded for the rest of his life. 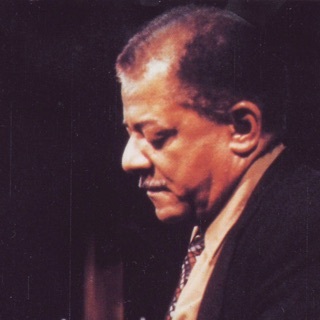 Pablo recorded Basie prolifically in a variety of settings, resulting in a series of well-received albums: Basie Jam earned a 1975 Grammy nomination for Best Jazz Performance by a Group; Basie and Zoot was nominated in the same category in 1976 and won the Grammy for Best Jazz Performance by a Soloist; Prime Time won the 1977 Grammy for Best Jazz Performance by a Big Band; and The Gifted Ones by Basie and Dizzy Gillespie was nominated for a 1979 Grammy for Best Jazz Instrumental Performance by a Group. 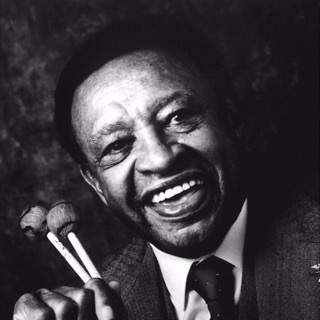 Thereafter, Basie competed in the category of Best Jazz Instrumental Performance by a Big Band, winning the Grammy in 1980 for On the Road and in 1982 for Warm Breeze, earning a nomination for Farmer's Market Barbecue in 1983, and winning a final time, for his ninth career Grammy, in 1984 for 88 Basie Street. Basie's health gradually deteriorated during the last eight years of his life. He suffered a heart attack in 1976 that put him out of commission for several months. He was back in the hospital in 1981, and when he returned to action, he was driving an electric wheel chair onto the stage. He died of cancer at 79.